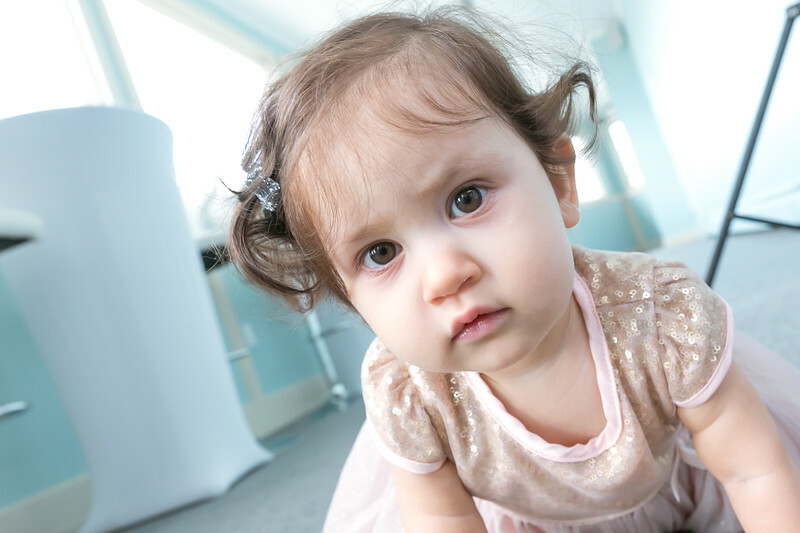 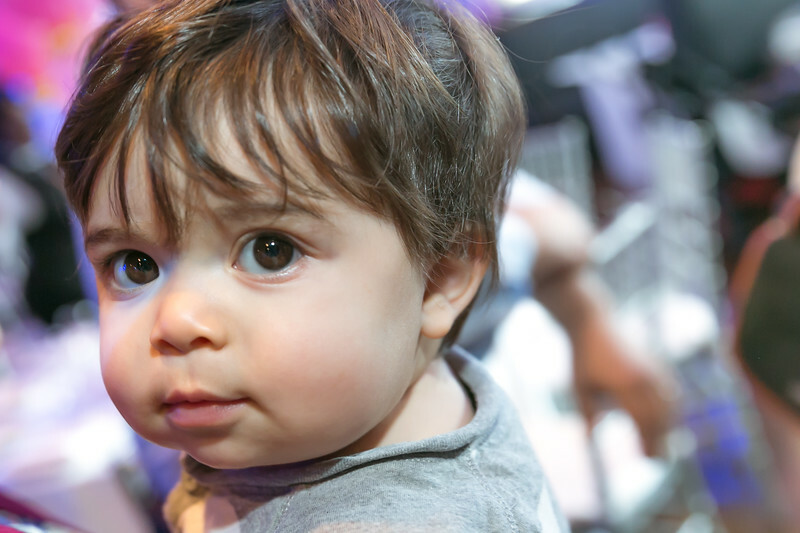 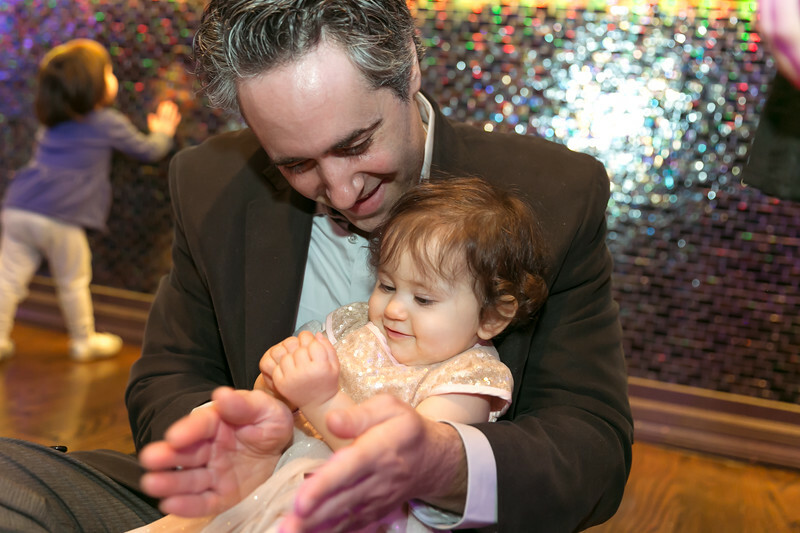 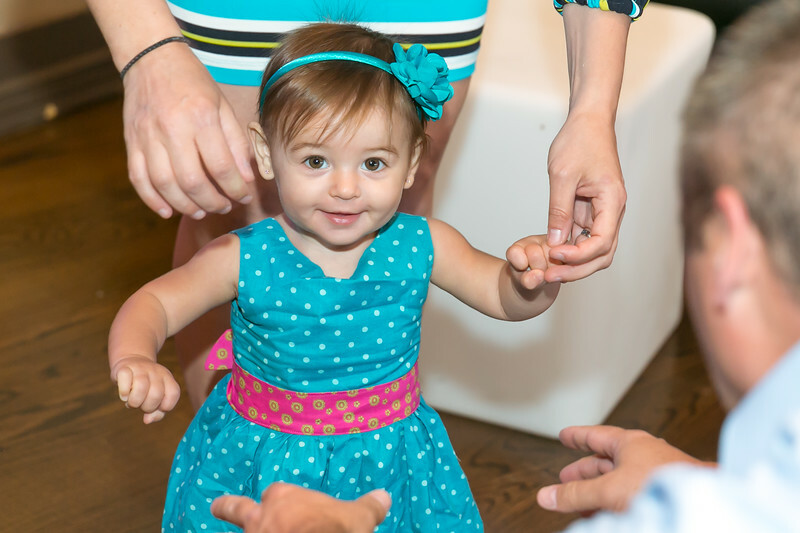 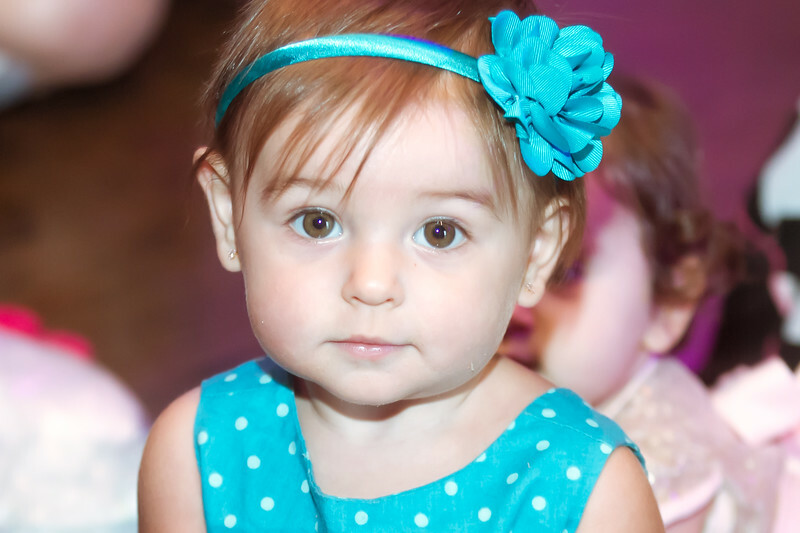 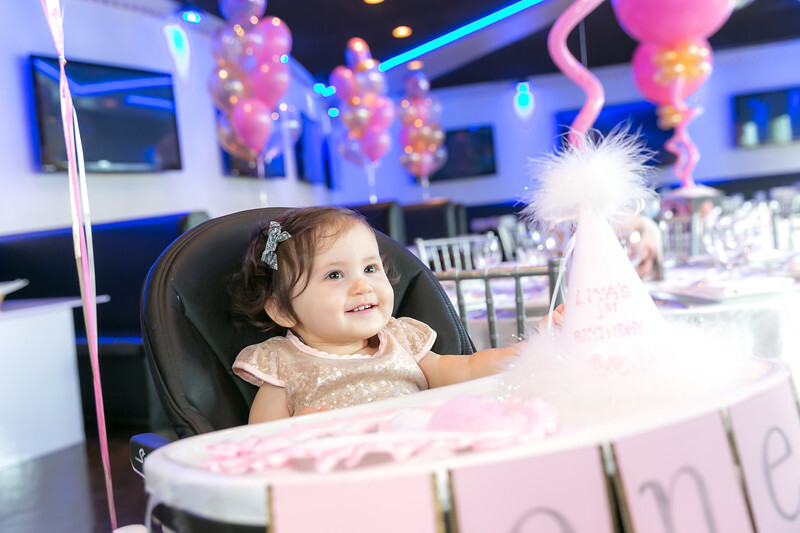 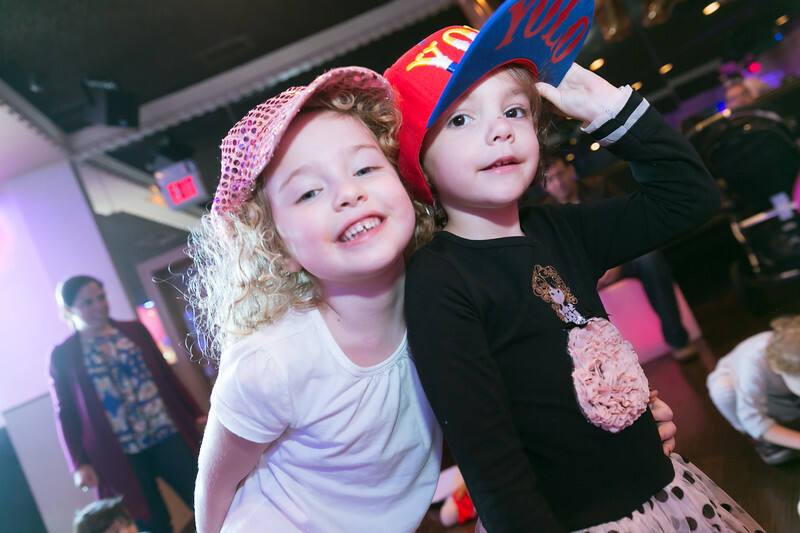 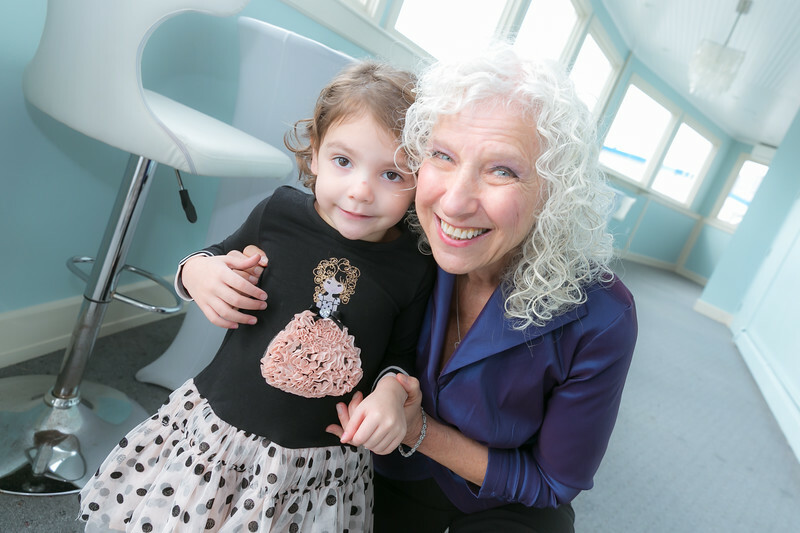 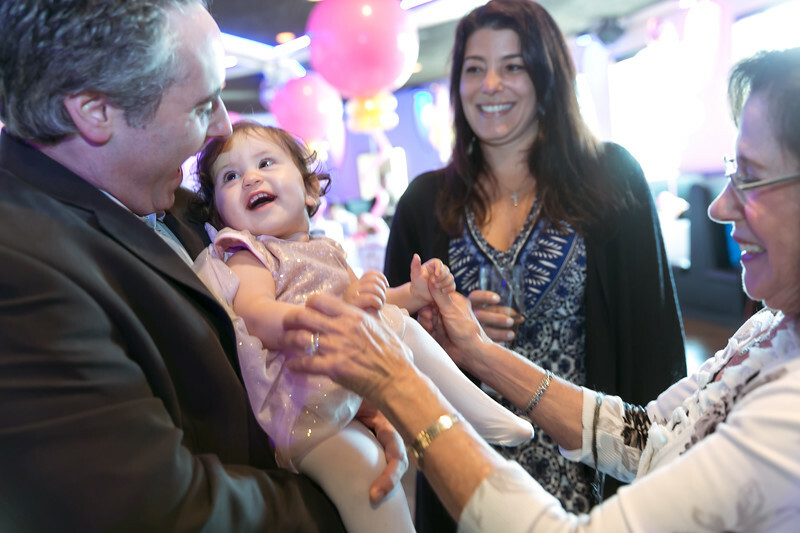 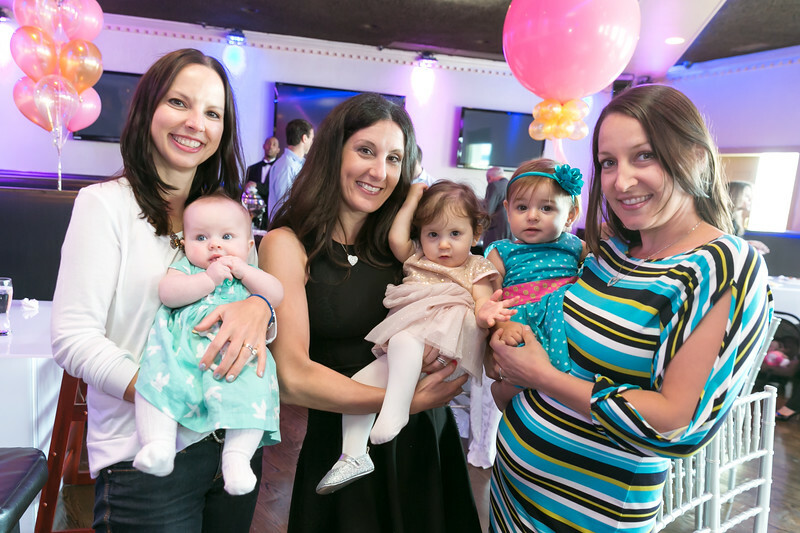 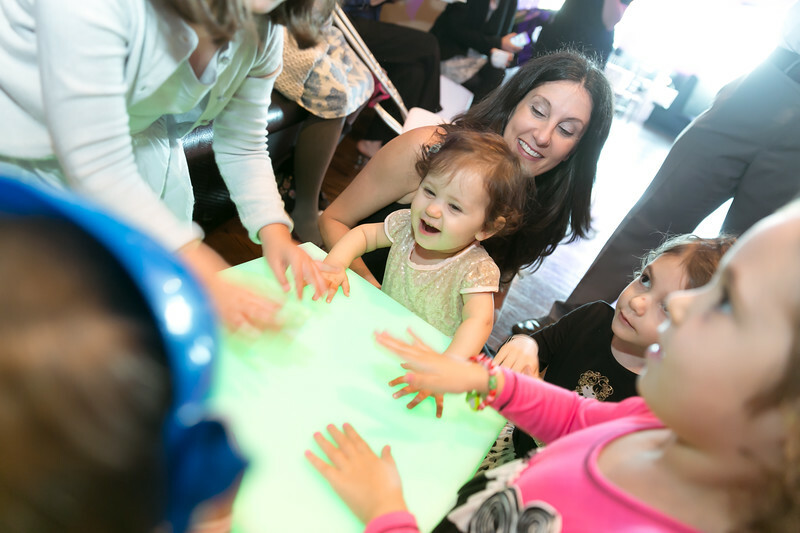 Photography for Liya's Jewish baby naming ceremony and birthday party at Sands Atlantic Beach in Long Island NY. 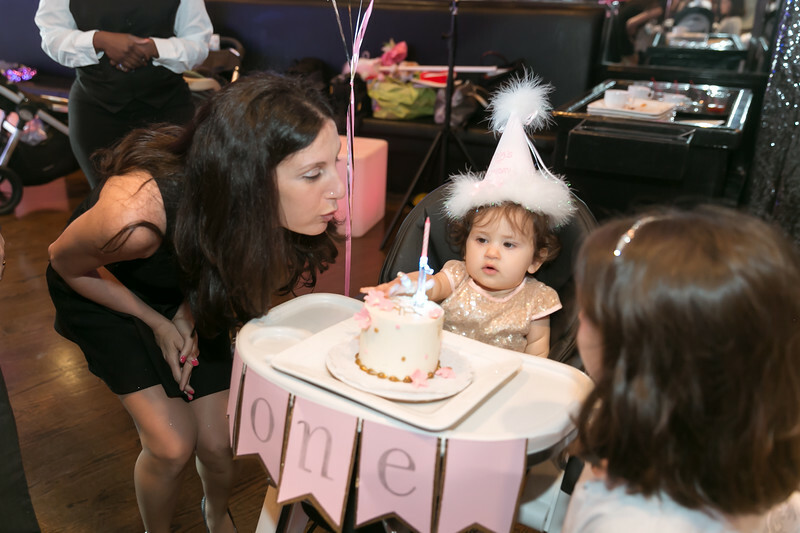 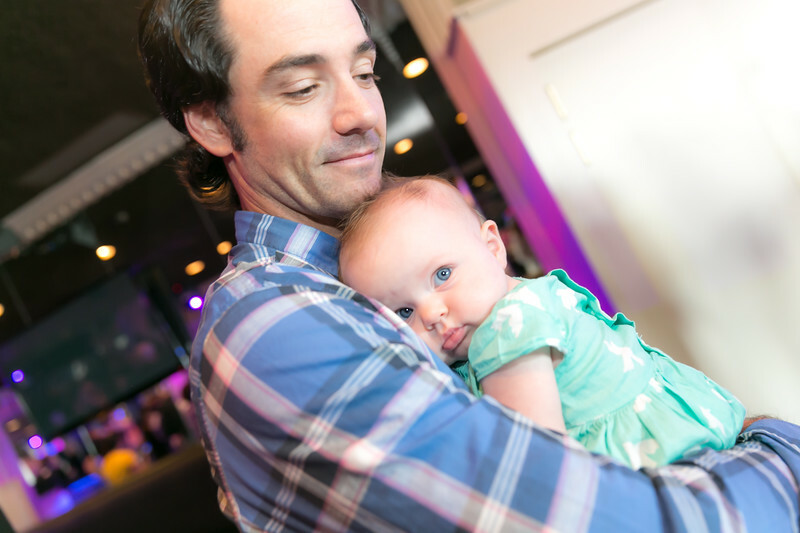 It was a beautiful and fun celebration with family, friends and many adorable kids and babies. 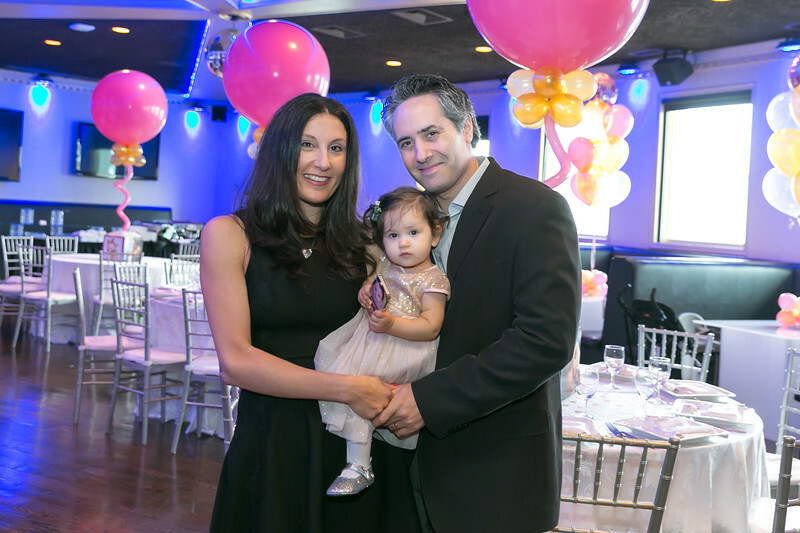 Liya's mother Cigall is founder and publisher of mazelmoments.com which helps families plan their bar and bat mitzvahs. 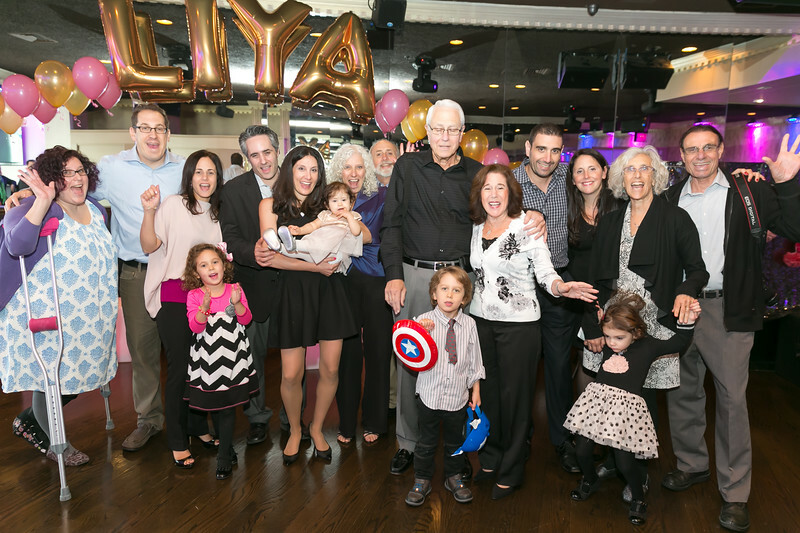 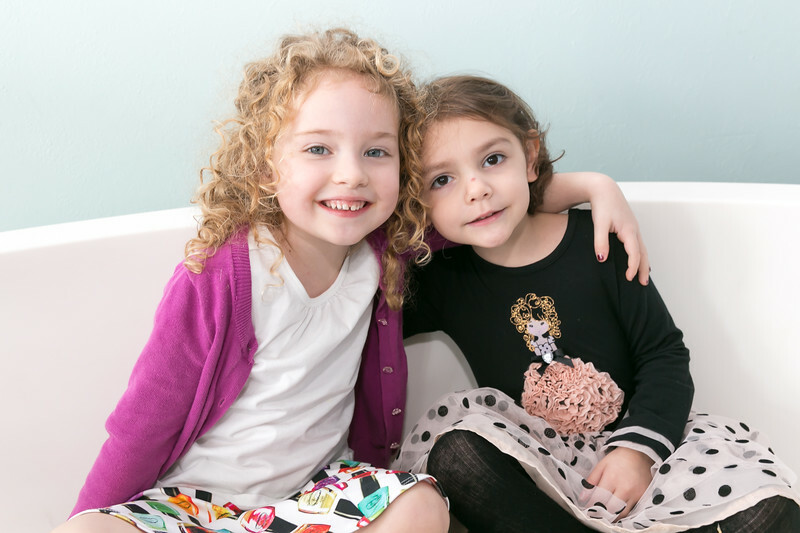 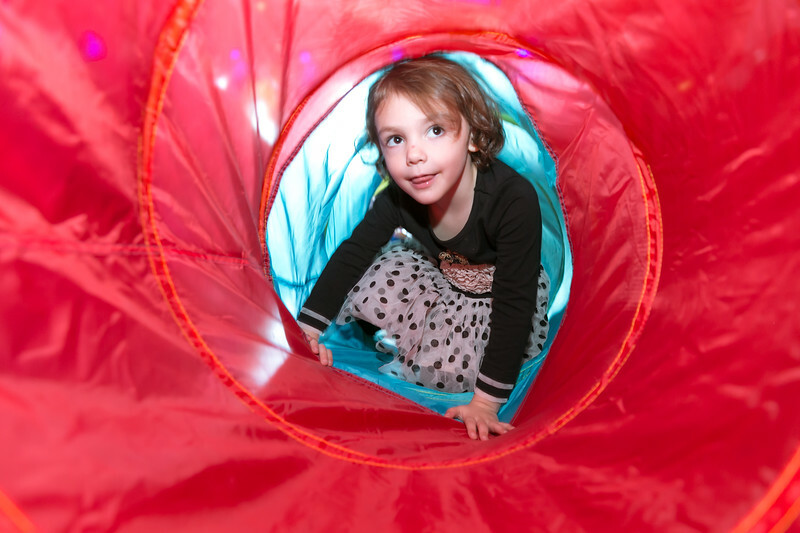 So I was delighted when Cigall asked me to photograph Liya's birthday party and capture this Jewish family tradition. 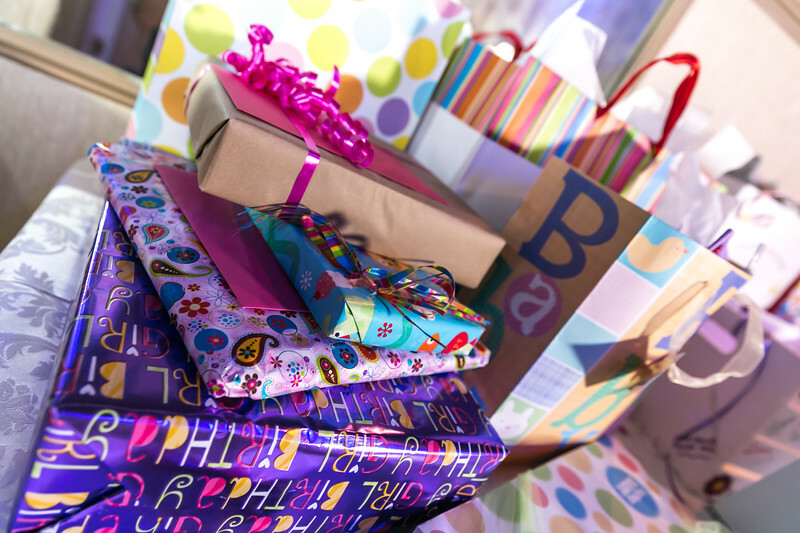 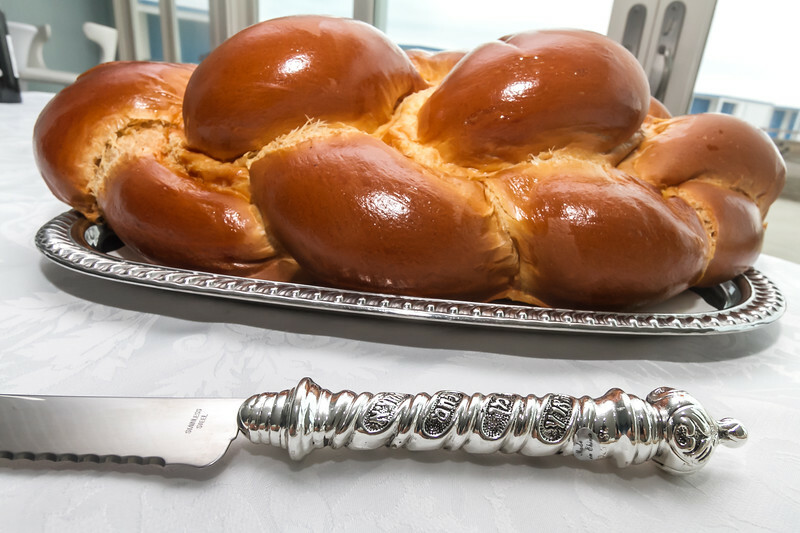 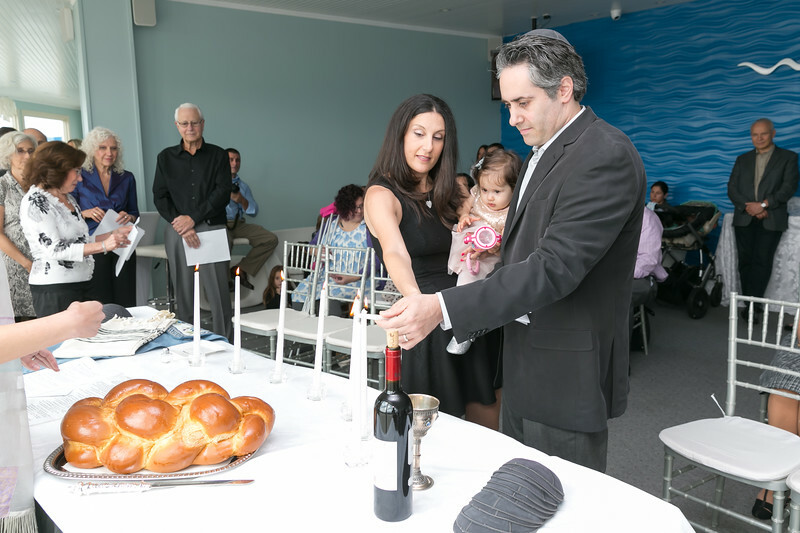 The baby naming ceremony is a Jewish tradition where the baby is formally given his or her Hebrew name. 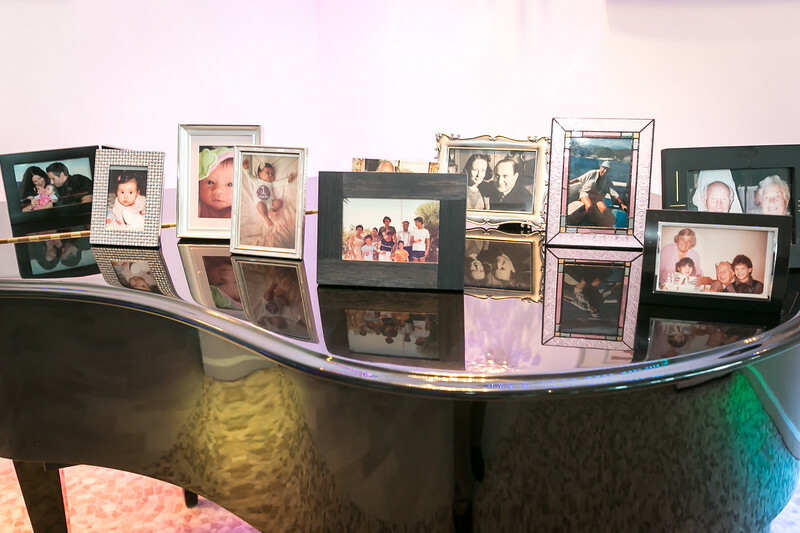 It also gives the parents the opportunity to explain the significance of the name(s), and who the child is named after. 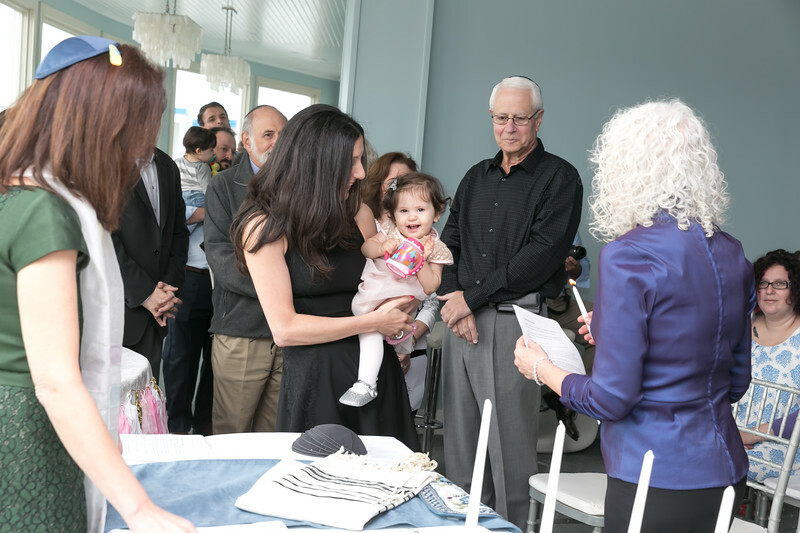 Blessings are recited to welcome the baby into the covenant. 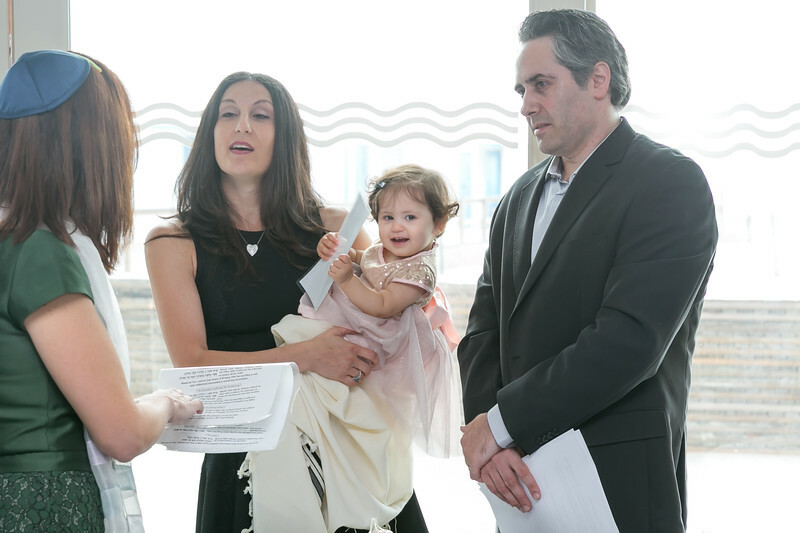 The ceremony was led by officiant/mohelet Lucy Eisenstein Waldman of Birth to Bris. 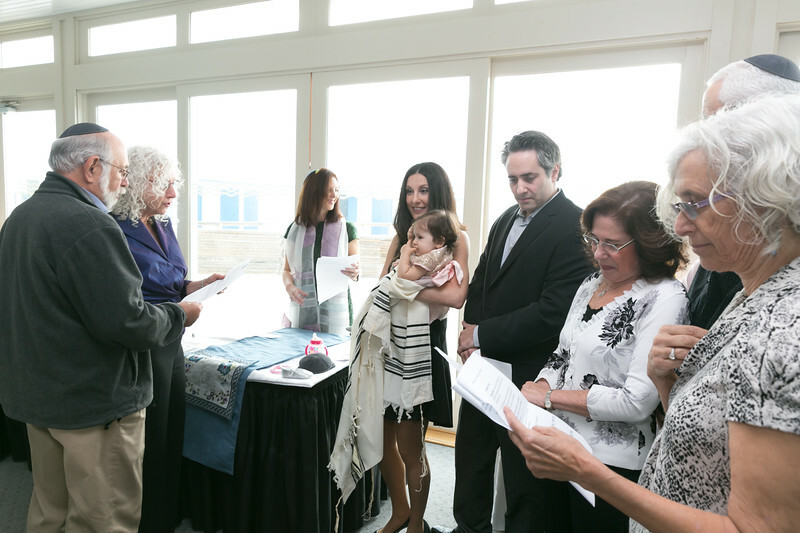 We also wrapped Liya in her godfather's tallis and performed a candle lighting ceremony with all of the grandparents. 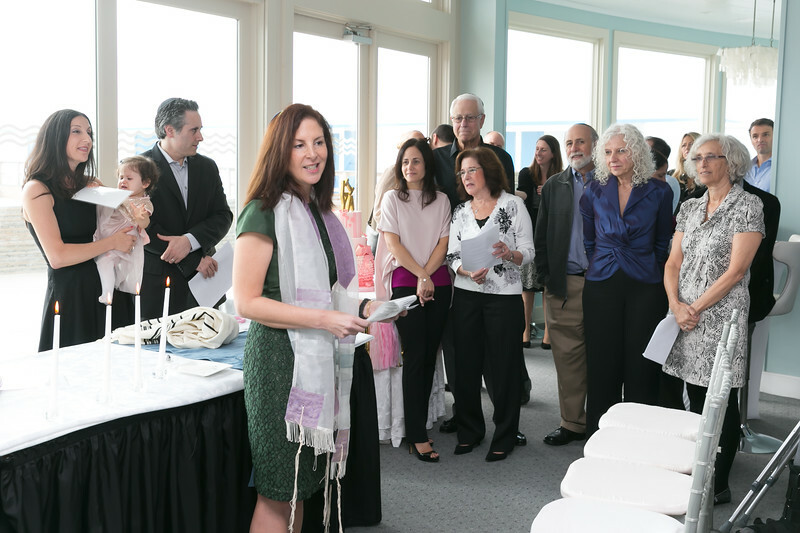 The ceremony was overlooking the beach which just added to the beauty. 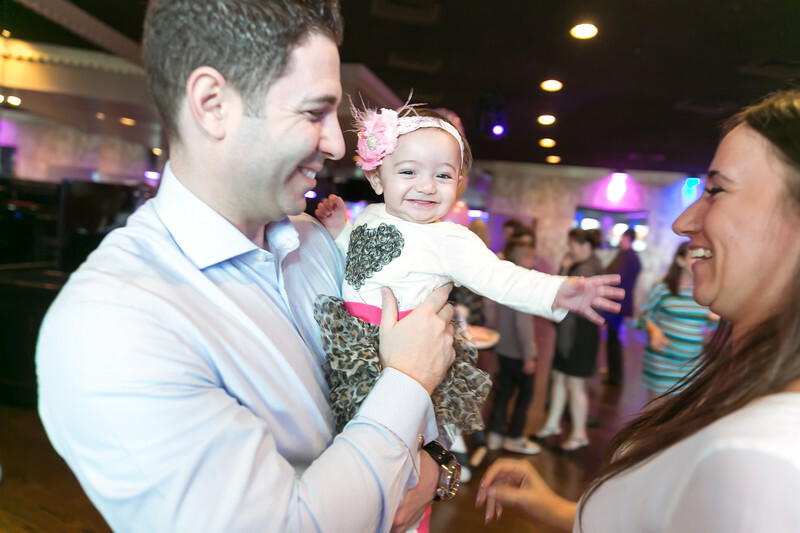 We decided to combine the baby naming ceremony with Liya's first birthday. 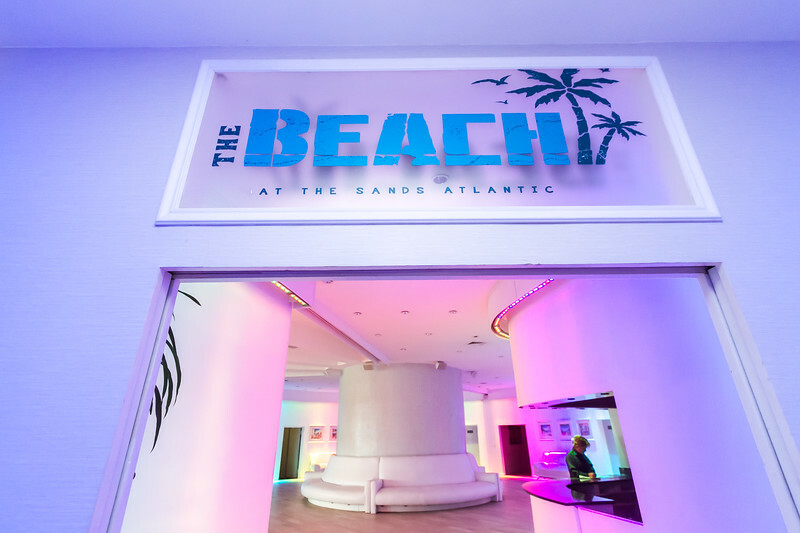 The event was held on October 18th (Liya's actual birthday) at the Sands at Atlantic Beach. 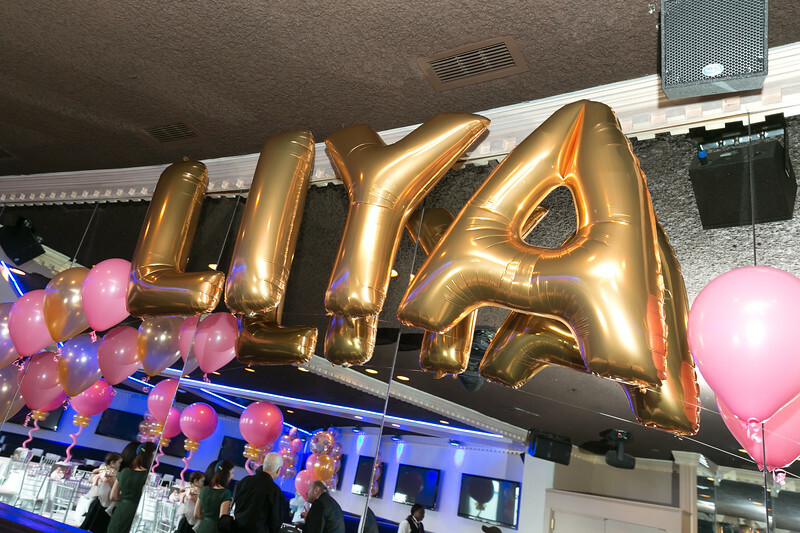 We decorated the event around Liya's name (appropriate because it's a baby naming!) 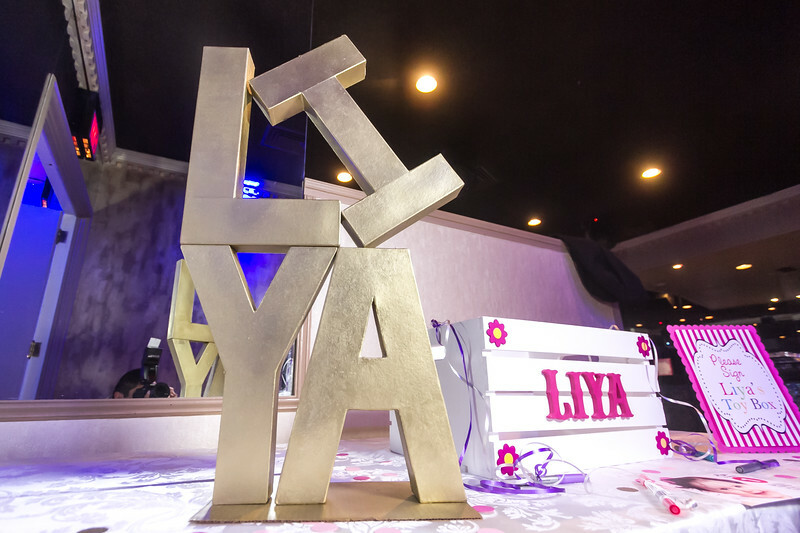 - we even created a logo using a play on the "LOVE" logo. 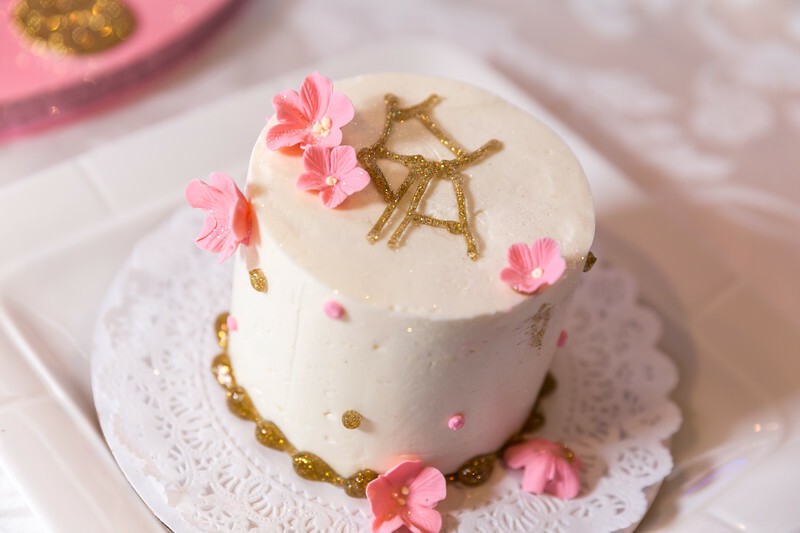 I created a gold sculpture of her name/logo, and this became the inspiration for much of the decor, including the centerpieces and the cake. 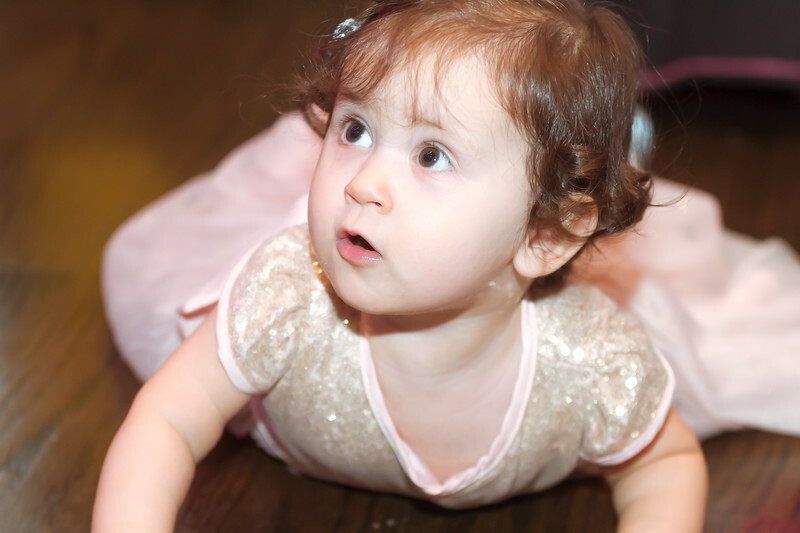 The colors were pink and gold. 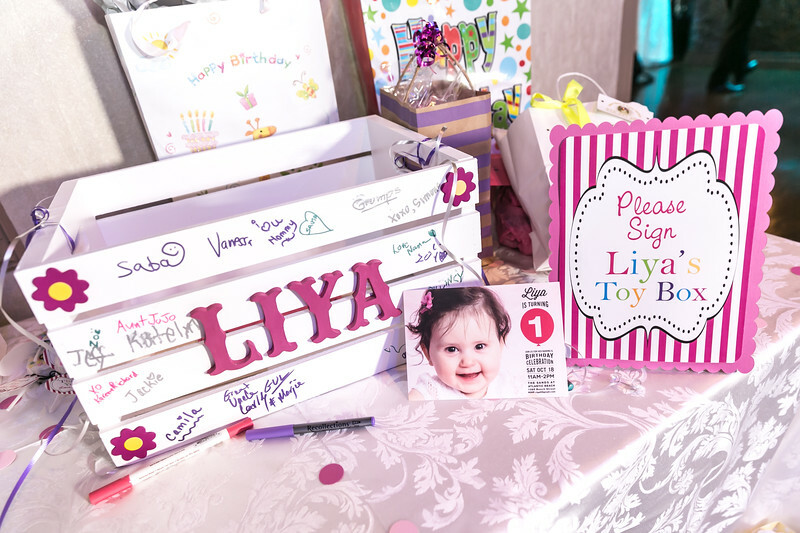 When guests walked in, they were asked to sign Liya's toy box - a great memento of the day that she will use for years to come. 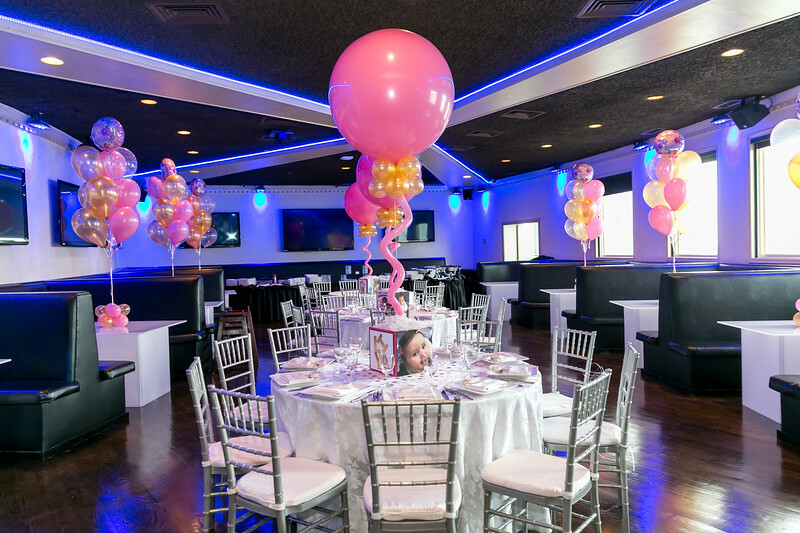 Balloon Artistry of New York created the most wonderful centerpieces featuring cubes of our favorite photos of Liya over the year. 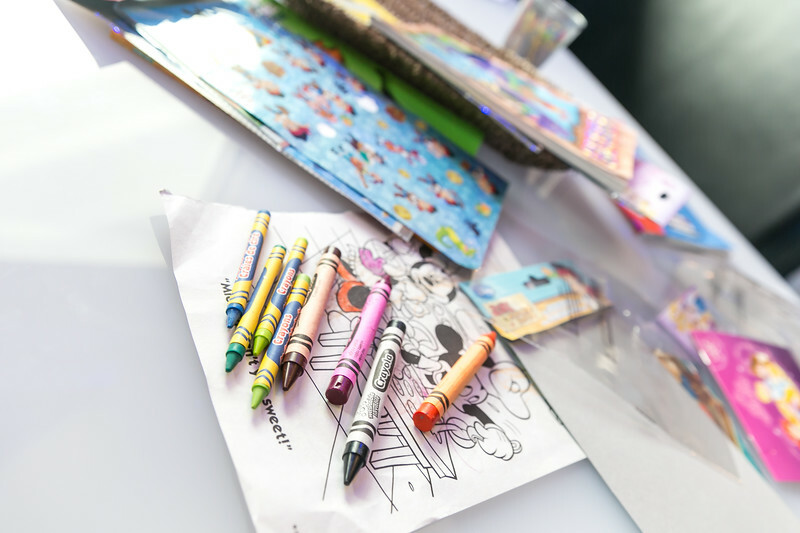 There were kids tables with coloring books and other activities for the kids. 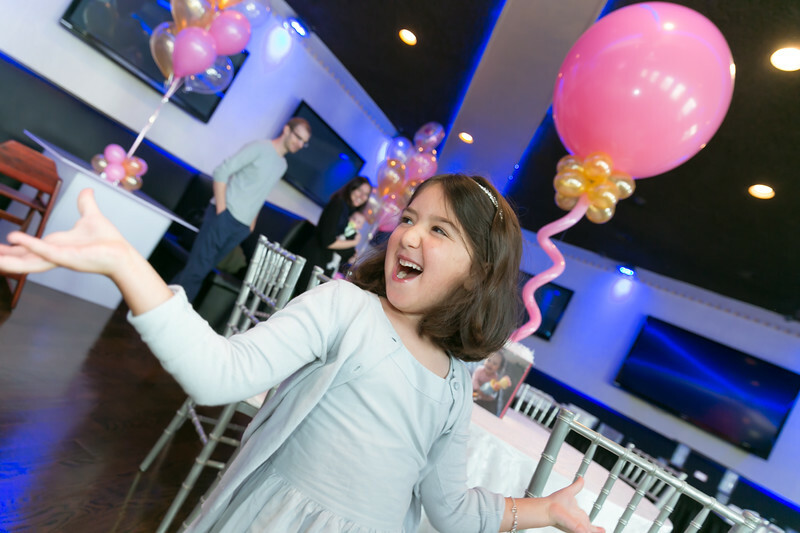 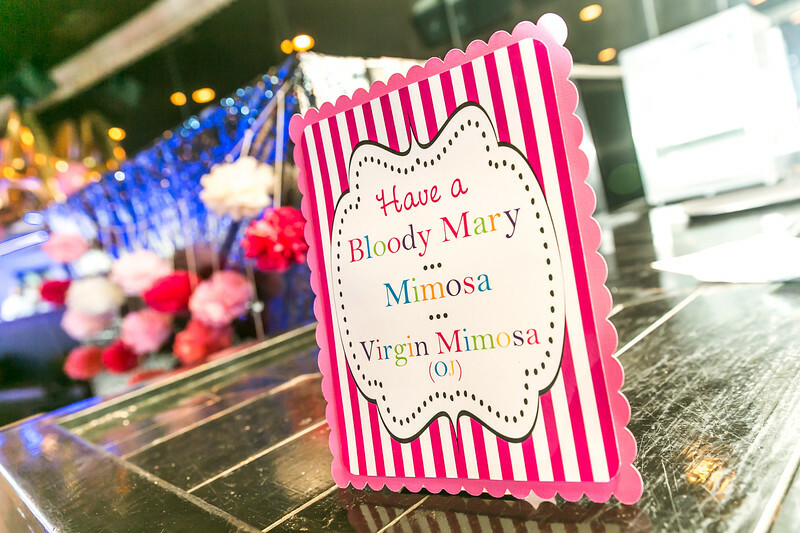 We also had some of Liya's favorite toys for the kids to play with during the brunch, and JB brought photo booth props which made for some fabulous photos. 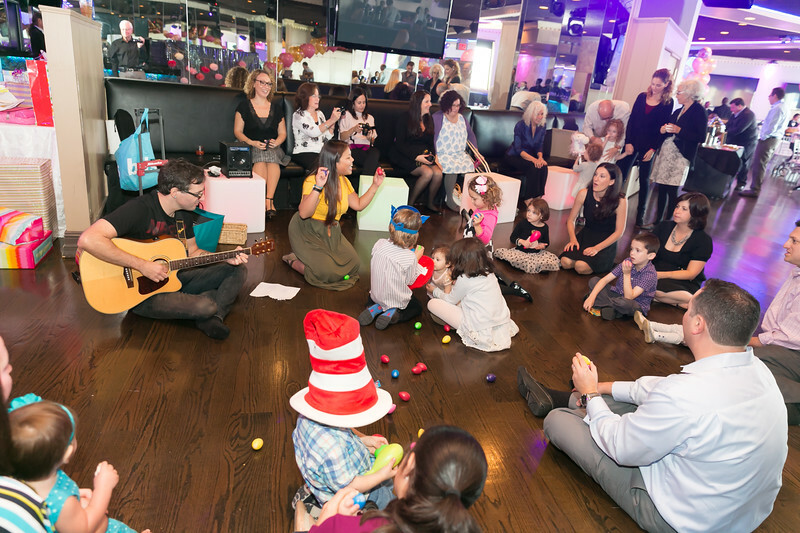 After the brunch, Long Island Aardvarks came in and engaged the kids in a music class. 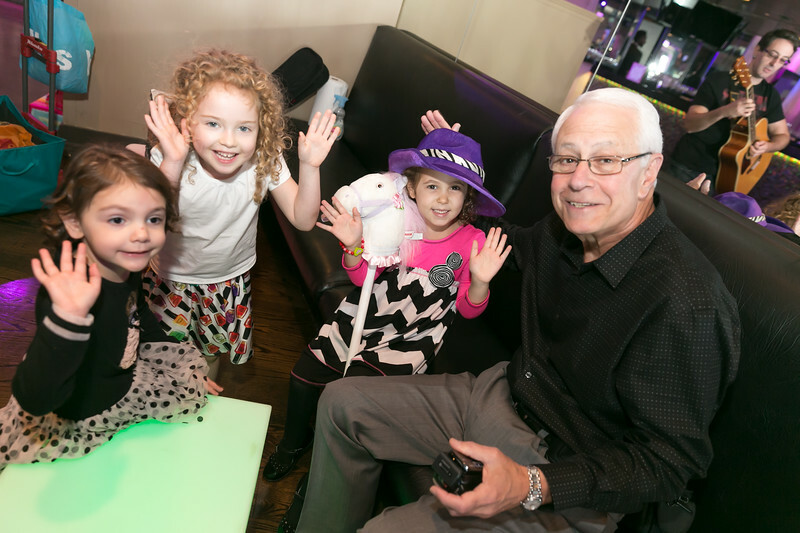 The kids seemed to have a fabulous time, which was the main goal for the day! 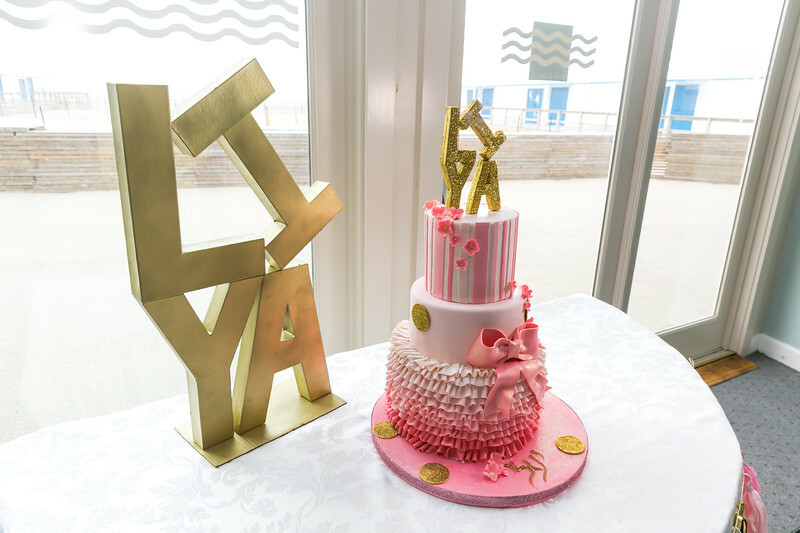 Madison Lee's Cakes of Brooklyn NY provided the most gorgeous cake with Liya's logo as the topper. 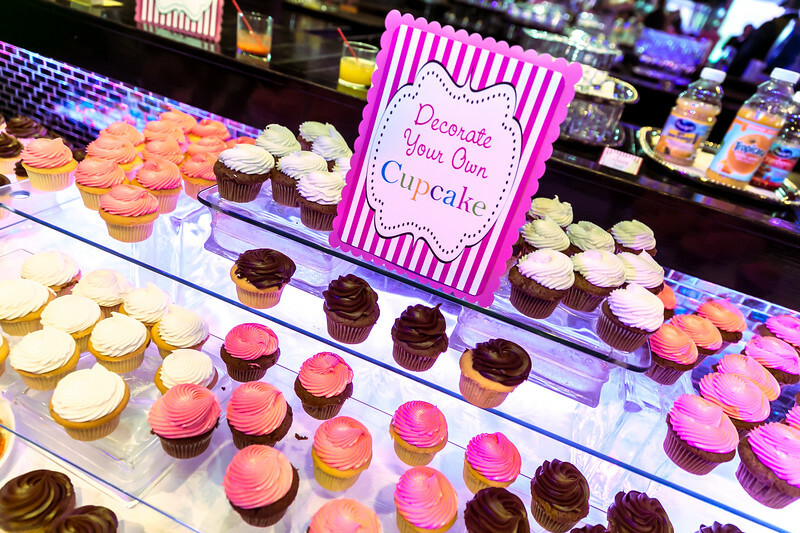 There were two fillings - pink velvet and cookies & cream. 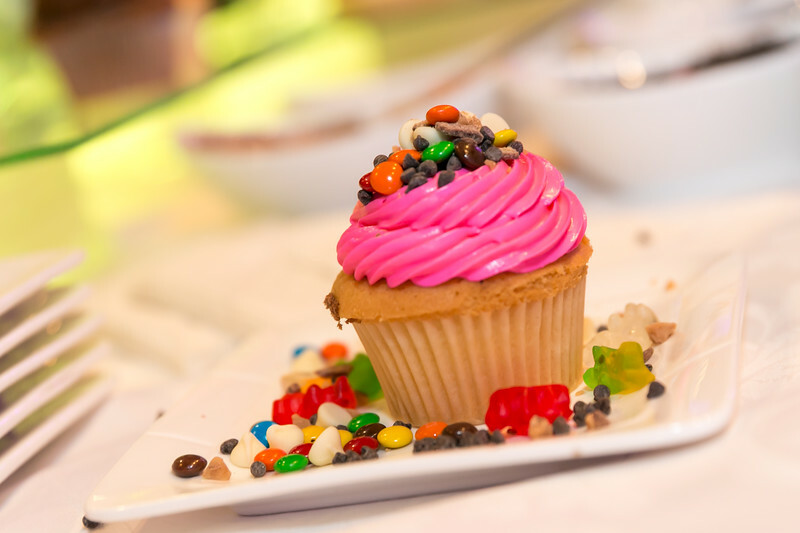 It tasted just as amazing as it looked. 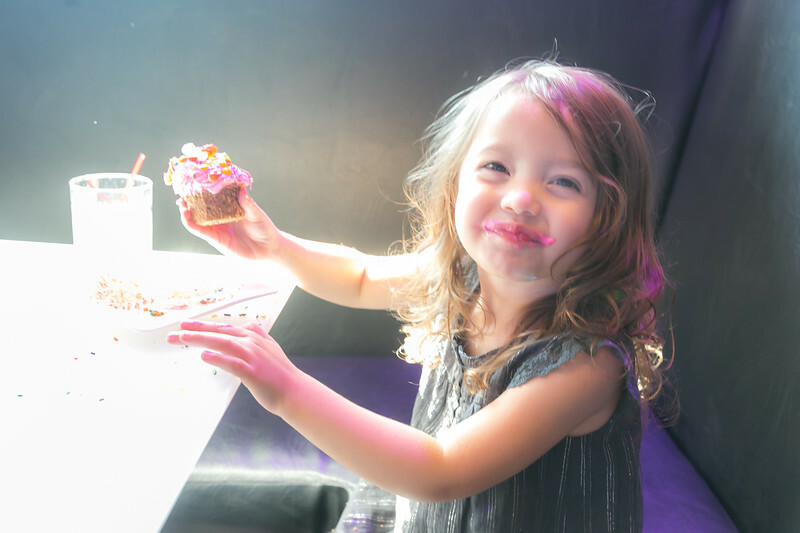 Madison also created a smash cake for Liya...although her smashing skills weren't quite developed yet. 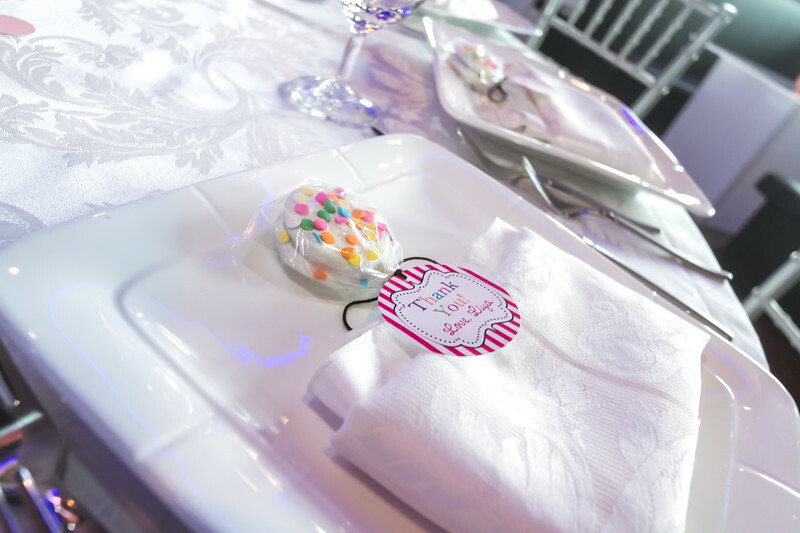 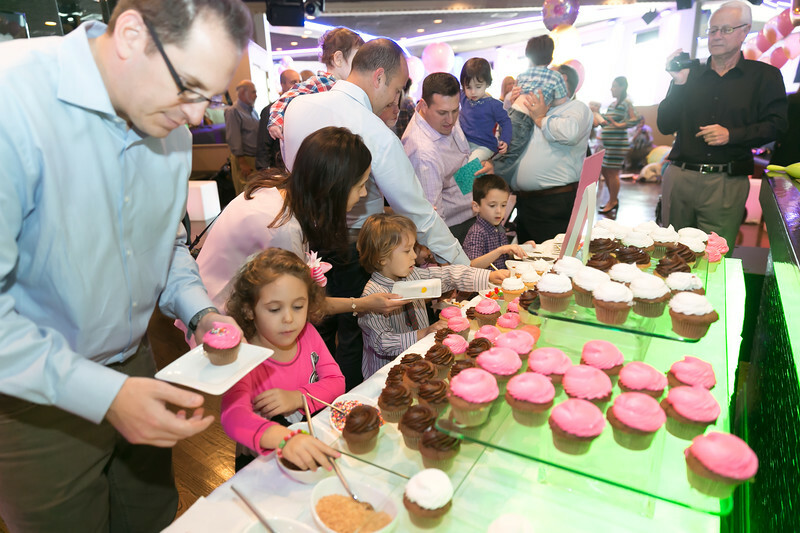 The kids also loved the Decorate Your Own Cupcake Bar from Sands at Atlantic Beach.